The University of Brighton has today raised serious concerns regarding the potential impact of proposed timetabling changes to services on Southern Railways’ Coastway East services. The concerns were raised in a letter jointly signed by the University Vice-Chancellor, President of the Brighton Students’ Union, and the University branch secretaries of both Unison and the Universities’ and College Union in response to a consultation by Govia Thameslink Railways on changes to the 2018 timetable. 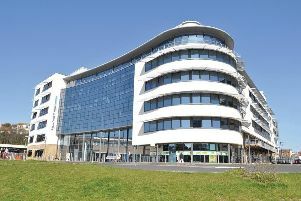 The Coastway East route links all of the University’s campuses in central Brighton, Moulsecoomb, Falmer, Eastbourne and Hastings and is heavily used by staff and students. A University of Brighton spokesperson said: “We are proud to be one of the most sustainable universities in the country. We encourage all of our students and staff to use sustainable transport in order to reduce car usage. Many of them rely heavily on these train services and like other users have already been heavily impacted by the continuing disruption to Southern services. “We are seriously concerned that the proposed timetable changes would reduce the service to and from Moulsecoomb. With many bus services along the Lewes Road already operating at full capacity any reduction in train services would have a major impact on many of the 7,500 students and 1,300 staff based on the campus which is due for major development over the next few years.